Recently Jack went north to Kinross to visit Todd & Duncan, the world’s finest producer of cashmere. We knows it’s the world’s finest, because Queen Elizabeth II and the Duke of Edinburgh also visited Todd & Duncan back in the 1960’s. Luckily, not on the same day as us or they’d have been confused about who was more important! Todd & Duncan have been in business since 1867 which is over 150 years! We’re very proud of our 40+ years in business but 150 is phenomenal! They are a piece of Scotland’s history! 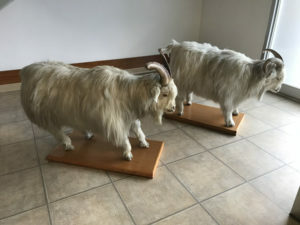 We’ve written before on our blog about cashmere and the hardy breed of mountain goat it comes from. 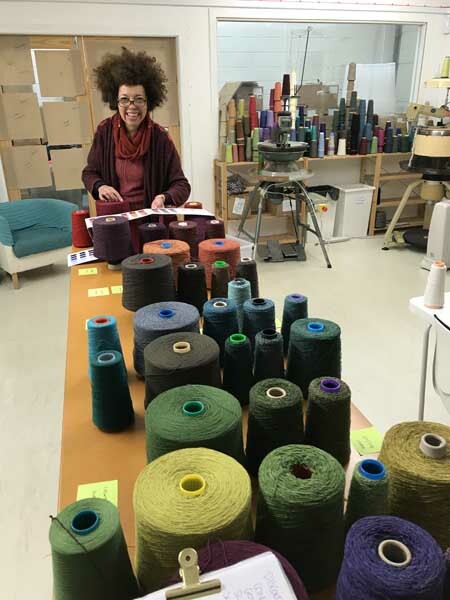 Today we wanted to talk to you about the process that turns it into beautiful yarn ready to be used in our collection. This all takes place in the Todd & Duncan mill on the banks of Loch Leven. These lovely looking laddies (maybe lassies) greet you inside the door. Cashmere goats are usually found in nomadic herds across Mongolia, China and Iran. On average a sheep produces a few kilos of wool per shearing. However these lovely cashmere goats produce only a few hundred grams of cashmere each! That’s only about enough for one pure cashmere scarf! Of course this scarcity contributes to why it has been such a sought after yarn for hundreds of years. It is also a very lightweight fibre which makes gorgeously soft garments, perfect for getting through a chilly Scottish winter! 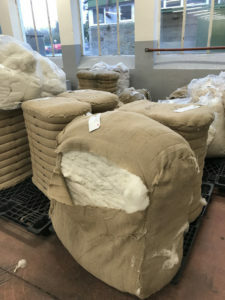 The huge sacks on the left contain the cashmere ready to be dyed and spun – an awful lot of goats provided all the cashmere needed to fill these sacks! First off, you need to give the fibre a good wash! 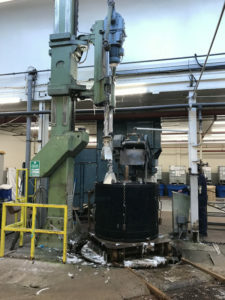 Todd & Duncan have a fascinating facility including these enormous washers on the right. They look nothing like our washing machines at home or in our Edinburgh Grassmarket workshop! Todd & Duncan mills have been on the banks of Loch Leven since 1897 and say the pure Scottish water is essential to the look and feel of their yarn. The huge bales are washed and dyed in big vats, before being passed over onto the dryers and assorted machines for spinning. To make up the dizzying array of colours they have on offer, exact blends of dyed batches are mixed together in huge hoppers. Then they are fed into a machine to change the raw cashmere into yarn! In this video the dyed fibre is passed through rollers to remove any impurities. Just one of the many steps taken to be sure the cashmere is as soft as possible when it reaches you! You can see multiple rollers in this shot, all running in parallel to process the raw cashmere into yarn. I think you start to get a feeling for the size, and noise, of the place! The yarn is then twisted onto these cobbs and sent out to us in Edinburgh! We turn it into the most beautiful, warm and light weight garments for you! 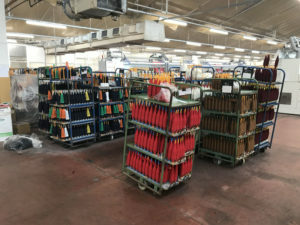 It’s amazing to see how much work goes into processing cashmere and we’re even more impressed with this versatile fabric! Colour is so important in our collection and Todd & Duncan provide breathtaking colours which are soft, warm and lightweight. They are a joy to work with! Thanks so much to Colin and everyone at Todd & Duncan for Jack’s eye opening tour. 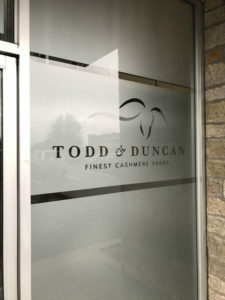 He had a great day seeing how cashmere is made and, of course, having a look in Todd & Duncan’s own shop! So many jumpers, cardigans and scarves! Check out our Cashmere and Silk Shawls made with Todd & Duncan Scottish cashmere and keep your eyes peeled for more Cashmere products on our website soon. 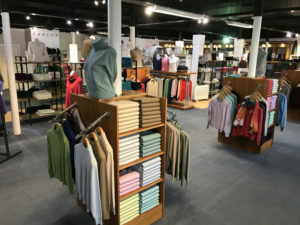 And the next time you are in our Grassmarket Workshop make sure to ask if you can see our latest 100% Cashmere products! Why not check out our video playlist on yotube and watch the journey the fibre takes from dyed and raw to fully spun cashmere yarn! We talk a lot about being a family business here at Bill Baber Knitwear as it makes a big difference to us to be able to work together. While Jack, the second generation of knitters, joined the team 10 years ago, Bill and Helen have been a husband and wife team since the very beginning.